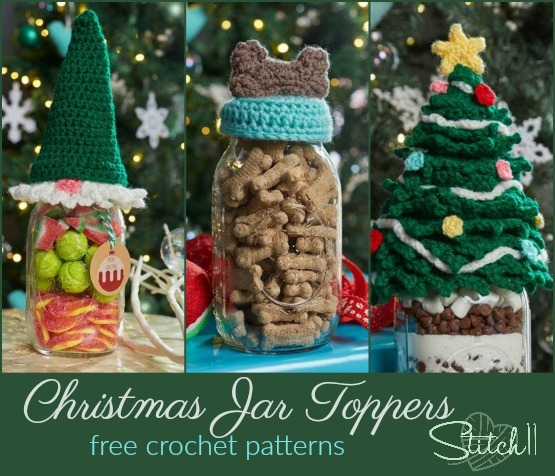 I’ve had the pleasure of designing these three FUN crochet jar toppers! 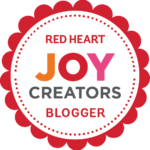 When Redheart Yarns approached me with their idea, I knew I was speaking with a GENIUS! 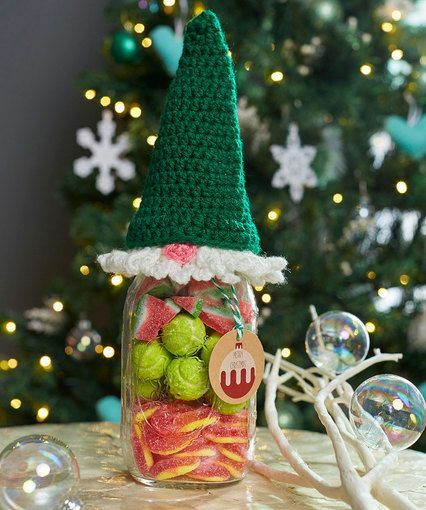 The Gnome and Christmas Tree Jar Toppers fit both the universal and wide mouth mason jars, while the Dog Treat Jar Topper was designed for the universal mason jar. Go ahead and get started! 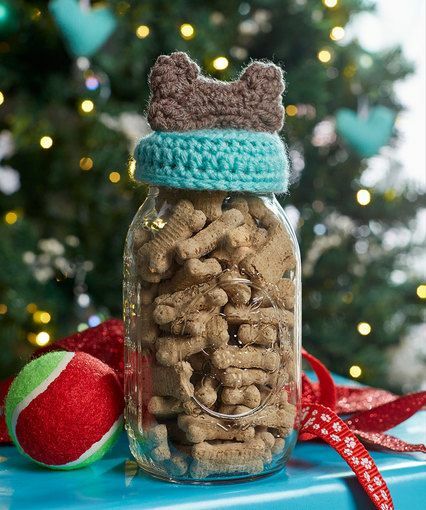 When christmas comes, all you will need to do is fill the jar! Easy peasy!!! Click the title or the photo to be directed to the free crochet pattern on Red Heart’s website! 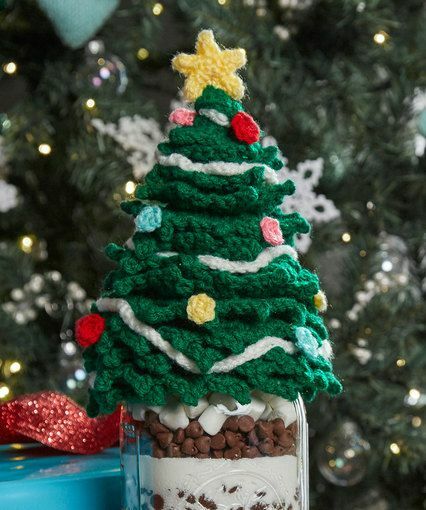 I’m a bit confused with the instructions on how to do the outer layer of the tree for the Christmas Tree Jar Topper – the tree base is worked in only the back loops, and I’ve wound up with all the front loops inside the tree. The outer layer is made by working into the front loops that have been left behind, but they’re inside the tree. Should I turn the tree base inside out to work on the front loops? Yes, flip the tree right side out to work into the front loops.